Summer vacation is almost half way over for my kids but the best part is yet to come. My husband and I are taking the teens to the beach for a week which we are all really excited about. We are staying in a ‘remodeled artist cottage’ right on the water. That is a fancy way of saying ‘incredibly tiny house from the 1930’s’ but since it was cheaper than anything else I came across, we are going to give it a shot. I am a woman of simple needs when it comes to vacation. A place to sleep, good food, and a place to enjoy the peace and quiet are all I really need. Okay, a fruity adult beverage or two hits the spot as well! I am not a ‘fly by the seat of your pants’ kind of vacationer. I know people who just wing it and grab a last minute flight to a place they just now decided they wanted to go. They throw stuff willy-nilly into a suitcase and away they go. That is NOT me! I am a list maker, a worrier, and a planner. I know exactly where we are going, how we are getting there, and even where we want to eat dinner before I walk out the door of my house. 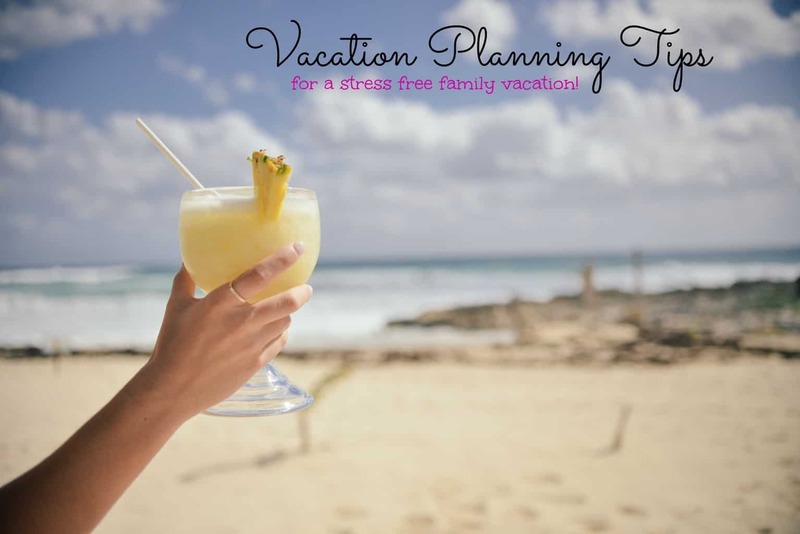 If you are a ‘planner’ like I am, you might appreciate these vacation planning tips. I have been using my new Lenovo Yoga 3 Intel 2in1 computer to make sure my family has the most fun possible on our upcoming beach vacation! Create a detailed list and share it with your family members: I have an extensive packing list for when we travel and it is a document that gets saved from year to year to cut back on the hassle of creating a new one. Make a list in your favorite word document (use free software like LibreOffice if you don’t want to buy Microsoft Office). Then, save that document to Microsoft OneDrive. Sync your significant other and your kids (if they are old enough) to OneDrive so they can access the document. Now, everyone has your packing list. Teens can pack for themselves. The husband can pack HIS stuff. Leaving you a whole lot less packing to do! OneDrive works on iPhones as well so you can access your word document on your iPhone. There is also a handy word document app so you can read word documents on your phone. Invest in a mobile hotspot: Take your internet everywhere you go with a mobile hotspot. With the flexibility of the Lenovo Yoga 3 and it’s incredibly small size, you can take this laptop everywhere you go. Use it in the car to map-quest your trip (and actually be able to SEE the directions unlike the ones on your tiny phone). Obviously, do not do this if you are the DRIVER! Let your kids play games on it to pass the time. Search out a good restaurant to stop at along the way rather than just eating highway fast food. A mobile hotspot and your Lenova Yoga 3 will make your trip much easier! Use your Lenovo Yoga 3 for entertaining the kids: Have you ever had to sit in a hotel room because it was raining and you couldn’t do whatever you planned on your vacation? When you are vacation planning, you need to factor in the ‘what ifs’ and ’emergency situation’ type scenarios! The Lenovo Yoga 3 with #Intel2in1 processor is incredibly fast and can easily stream movies from Netflix, Amazon, or whatever your favorite movie streaming site is. No more having to suffer through hotel TV programing, which is usually NOT showing something my kids want to watch! Protect Your Vacation Photos: Lets say you are having the time of your life on vacation and snapping lots of photos. 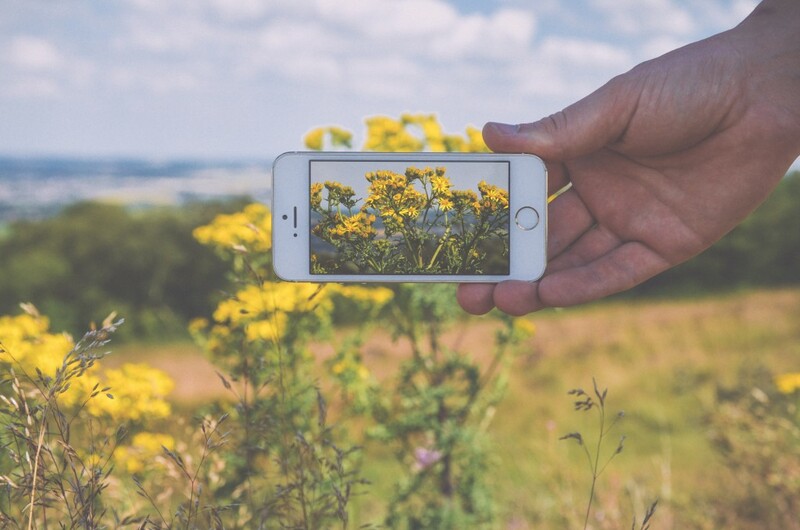 Your phone is getting FULL of wonderful family memories. And then you drop your phone in the ocean. There go ALL your vacation photos in one horrifically sad phone tragedy! If you since your phone up to OneDrive you don’t have to worry about an accident or phone loss wiping out all your photos. Bring those photos home, print them out, scrapbook them, or just leave them in digital format like so many of us do. At least you know your photos are backed up somewhere safe! This handy vacation planning tip will help preserve your family memories for years to come! Vacation planning will make your family trip go a LOT smoother. 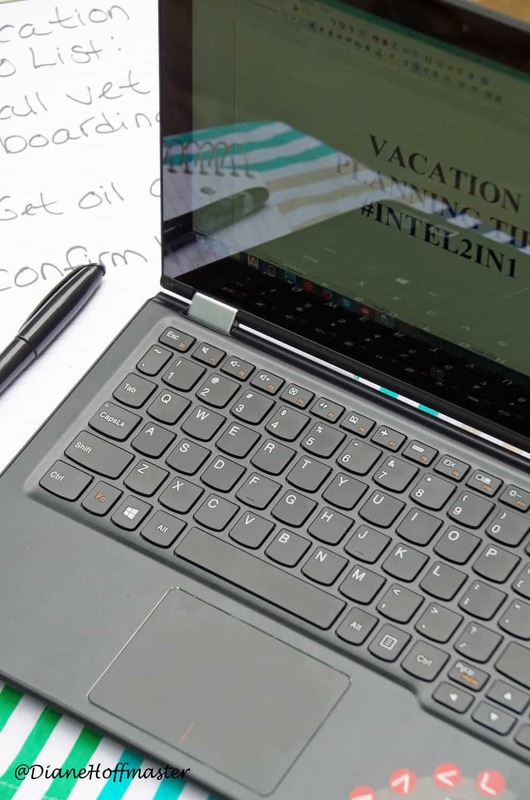 I am happy to have my new Lenovo laptop with the Intel® Core™ M processor to make my vacation planning a whole lot easier. Have any vacation planning tips you want to share?